Venture by bullet train from Tokyo to the historical sites of Nara, and enjoy an overnight stay in Kyoto – the heart of Japanese culture! 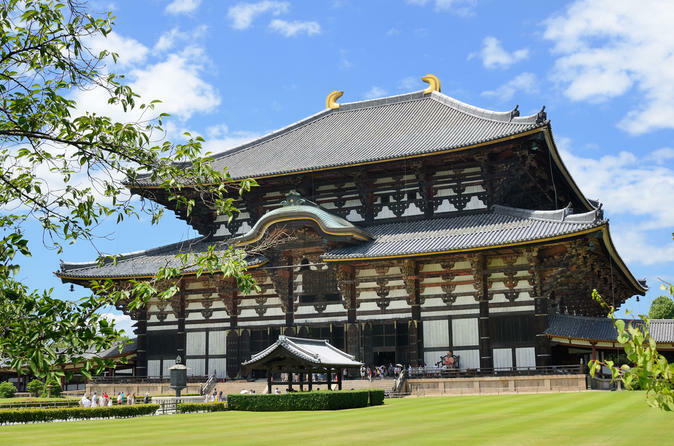 On this two-day trip, visit top attractions including five UNESCO World Heritage Sites – from Nara’s Todaiji Temple and Kasuga Shrine to Kyoto’s Golden Pavilion Temple, Nijo Castle and Kiyomizu Temple. Enjoy a morning and afternoon sightseeing tour of Kyoto with a professional guide, who will take you to the Imperial Palace and Heian Shrine, including daily lunch and a stop at the Deer Park.